Engine flush. Isn’t that just an oil change? Old oil out, new oil in? If we break down those two words (engine and flush) you have your answer. Engine: That hard-working part of your vehicle that powers everything from the transmission to the air conditioner. Flush: Removing contaminants (like flushing your eyes with water after a gust of wind smacks you with blowing dirt at your kid’s baseball game). While we no longer use the term engine flush, the process is still very important. The oil in those hard-working engines breaks down over time. 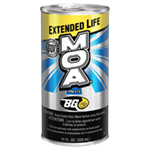 It can develop contaminants that impede the function of an engine. What helps eliminate contaminants? A flush. Yup, engine and flush seem to be compatible when you actually understand what they mean. So why aren’t those contaminants removed with every oil change? Because, the oil becomes part of the problem. Over time, even the best engine oil becomes contaminated with fuel from the injectors and moisture from the air. Continuous high temperatures from the engine cook these contaminants into the oil, eventually causing it to break down, oxidize, and thicken. So just remove it, right? Say… as part of an oil change? Not so fast. 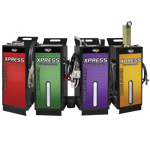 The materials created by oxidation and oil thickening are known as “oxidation byproducts.” For people who want to use simpler terms, we call these deposits “varnish and sludge.” If you have varnish and sludge, your engine oil is no longer clean. This heavy gunk turns the oil into sticky goo. Think of it like heated and burned plastic; it’s liquid yuck! Varnish and sludge adhere to engine components and they won’t leave on their own. They are the gift that keeps on giving, and not in a good way! I thought engine oil had detergents? Doesn’t that clean engine sludge? You see, engine oil has “keep-clean” detergents, not “clean-up” detergents. As the oil oxidizes under normal conditions, the detergents prevent the oil from breaking down before it’s too late. However, long oil change intervals and high operating temperatures cause hyper-oxidation (super-fast oxidation). The rate of oxidation outpaces the keep-clean detergents and then you have varnish and sludge deposits. Are oil deposits a real problem? Yes. These days, every automaker has issues with high oil loss. Sticky oil deposits found near the piston rings and upper engine surfaces cause this problem. Since these deposits can’t be removed by engine oil alone, oil loss issues won’t go away without a clean-up. How do I remove oil deposits? Removing varnish and sludge deposits from engine oil requires more than a keep-clean engine oil detergent. Unlike the slow-acting, keep-clean detergents blended into the engine oil, clean-up products have a unique and specialized detergency. 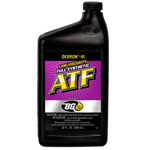 And bonus, this “clean up” technology now exists in a unique product: BG EPR® Engine Performance Restoration®. 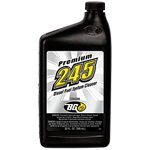 Add BG EPR® to the engine oil prior to each oil change and let the engine run for 10-20 minutes. The detergents are fast-acting cleaners that specifically target varnish and sludge deposits. The magic happens when the engine reaches normal operating temperatures. Then the clean-up detergents come alive! They soften and safely remove the heavy oil deposits. When should I perform an engine flush? Use a clean-up product at every oil change. With oil change intervals getting lengthier and lengthier, keeping the engine clean is so important! 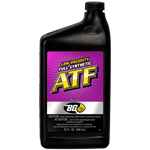 The best way to rid your vehicle of those pesky deposits is with a product that we made to remove them: BG EPR® Engine Performance Restoration®. WICHITA, Kan.–January 12, 2016–BG introduces new http://bgprod.ie/product/bg-low-viscosity-full-synthetic-atf/BG Low Viscosity Full Synthetic ATF, PN 315. Low viscosity transmission fluid offers better performance and fuel efficiency gains over more viscous counterparts. Manufacturers are responding to the call for better fuel efficiency. Nearly 40 percent of new passenger cars in the U.S. require low viscosity automatic transmission fluid.